Jon,Les,Tony,Ollie,Mike, and a brief appearance from Les’s new boss. 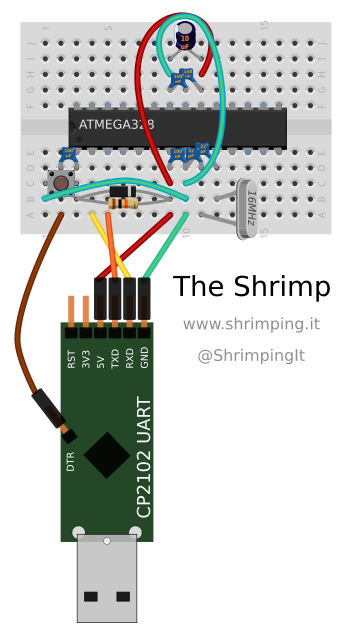 Using an Arduino as a programmer to burn the bootloader onto a blank chip. 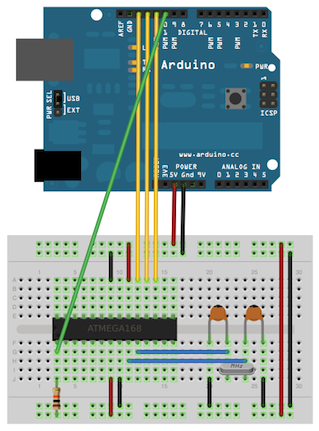 The Arduino IDE has a sketch to turn an Arduino into a programmer, so you upload that sketch to the Arduino, then connect up as described here. 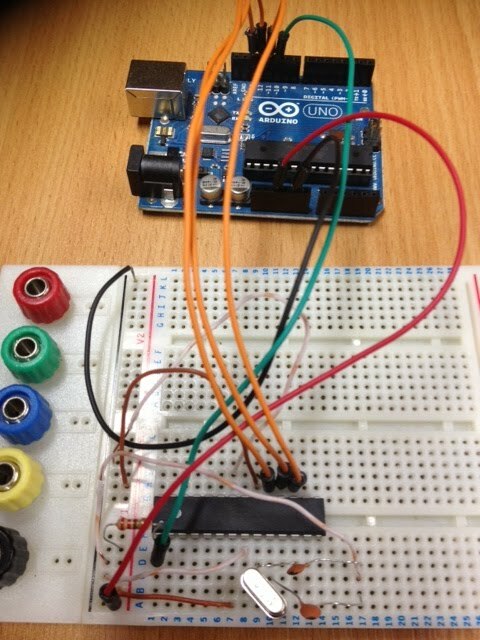 Once connected, use the Arduino IDE, and select tools, programmer, Arduino as ISP. This is the wiring/circuit from the Arduino.cc site guide linked to higher up. This is the home made Arduino running the blink sketch, the red dot in the middle of the board is the flashing LED. With USB attached like this, no external power supply or batteries are required, and you can use it in exactly the same way as a £20 Arduino Uno. The finished stripboard version, which can use external power, or be powered by USB.